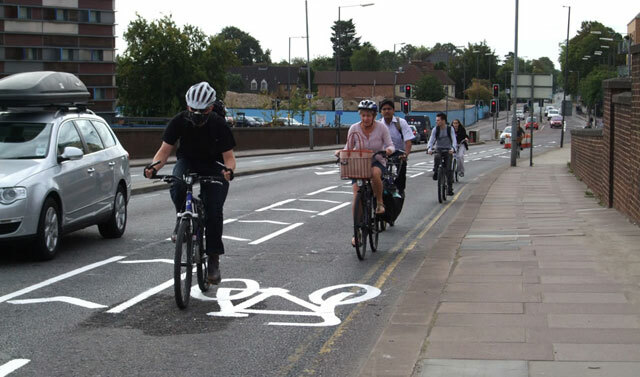 The Department for Transport (DfT; England) has published a research looking at how to increase levels of cycling across the country, and putting forward the economic case for cycling. The two research papers were published as the cycling minister Robert Goodwill unveiled a new government strategy which aims to encourage more walking and cycling. The new strategy, launched on 27 March, ‘has a clear ambition’ that by 2040 getting around by bike or on foot will be the natural choice for shorter journeys, or as part of a longer journey. The first research paper looks at work undertaken for the DfT on the National Propensity to Cycle Tool (NPCT), a prototype tool available online which allows users to see commuting cycling potential at area and route level. This includes analysis on how propensity to cycle varies by age and gender, and how this interacts with distance. The report also assesses the impact of a number of cycling funds and grants including the ‘Cycling city ambition grant’, ‘Local Sustainable Transport Fund’, ‘Sustainable travel projects’ and CycleNetXChange. A second report comprises an evidence review of the economic benefits of cycling which concludes that ‘economic growth can result from high density, cycle friendly urban design’. It also found that cycle friendly neighbourhoods can have ‘greater retail spend’ and says cycle parking allows ‘five times more retail spend than the same space for car parking’.